One of the most historic landmark properties in the Chagrin Valley area and Russell Township! This century brick farmhouse built in 1873 by William Chamberlin is located just minutes from the Village of Chagrin Falls. Rich in the Western Reserve style architectural details from the incredible windows, high ceilings, chestnut wood flooring and hand cut fit stones mixed with all of the modern day conveniences make this a very RARE opportunity! The kitchen is a stunning work of art in its own right by the layout, exposed brick, and beamed ceilings. The creative chef will appreciate the exquisite upgrades from the high-end cabinetry, ample quartz working counter spaces, farm and prep sinks, stainless steel appliances and a large pantry! Many features including a 1st and potential 2nd-floor master suites, 1st-floor laundry, hardwood flooring on both levels, 3-zone whole house air conditioning, radiant first-floor heating and the English mason stonework in the basement. From the rear deck off the kitchen, your guests will enjoy nature at its best of the serene gardens, acres of open fields and wooded areas owned by the Russell Township Park District and the Western Reserve Land Conservancy. 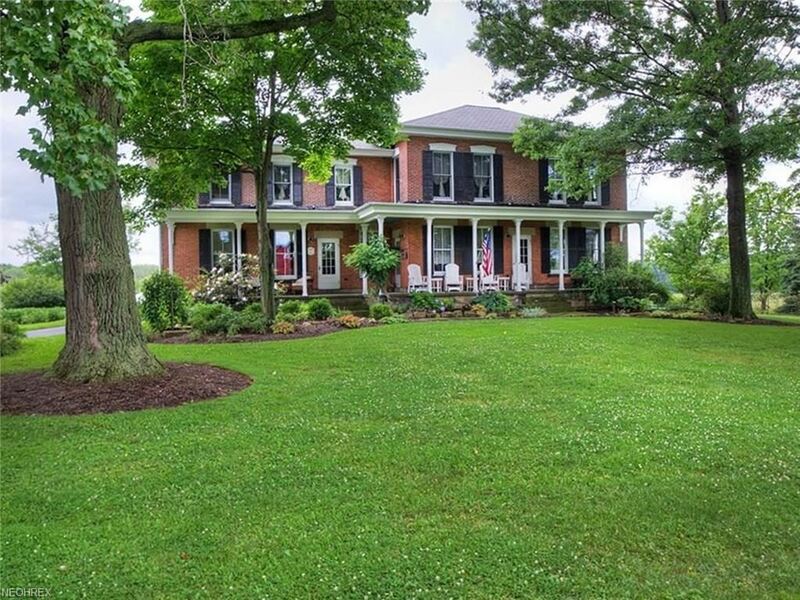 This beautiful farmhouse and land have previously been lovingly cared for in the past hundred years by the Modroo family … renowned not just in Geauga County but all over Cleveland as one of the last working family farms who had the utmost integrity for the land and service to the community.